Fresh from a name change, Chris from Terror Pop (formerly Agitate The Gravel) chats to The G-Man about his favourite indy record store. My favourite record store as a proud Cork man has to be Plugd located in the Triskel arts centre just off South Main St. Recently I was at a gig inside the store itself with Terriers and Bouts and that was fantastic. My favourite has to be going in after seeing a band in Fred Zeppelins a few years go named Indian Jewelery. They were a US band who made a strange blend of psych out rock, drone and electro with everyone swapping instruments and going mad (no kit, just a tom). Anyway, I wander in to Plugd a week later to see if they have any of their stuff and sure enough they do. I wasn't even sure if I had the right band name so Jim threw on two of their albums so I could figure out which one I wanted, which wouldn't happen in any other store in Cork. It's that kind of consideration and respect that's sorely lacking in every day life, not to mention the world of retail. The album I mentioned buying above (named Free Gold) was the one that Jim recommended and the one I went home with that day. It was a real ear-opener as far as mixing feedback, noise and other non musical elements into songs goes. Also getting my fanboy Richter Collective goodies in there was always cause for celebrations like the first BATS album and The Vinny Club. We were informed after the Ones to Watch Festival in Whelan's at the start of the year that it was Albert (from Plugd) who suggested us which was a huge deal to us as the gig led to some big developments within the band. It was also a big honour as we were amongst some of our favourite Cork bands at that gig. It's a reminder that there are still people out there who are interested in buying music and supporting artists. A rare breed but one that is beloved. Blur releasing their first full lineup track ('Fools Day') in about 10 years. I got into Blur about 7 years ago and went to see one of the reunion gigs at Hyde Park so as a die-hard fanatic the prospect of hearing a newly recorded Blur song was a giddy thrill to say the least. 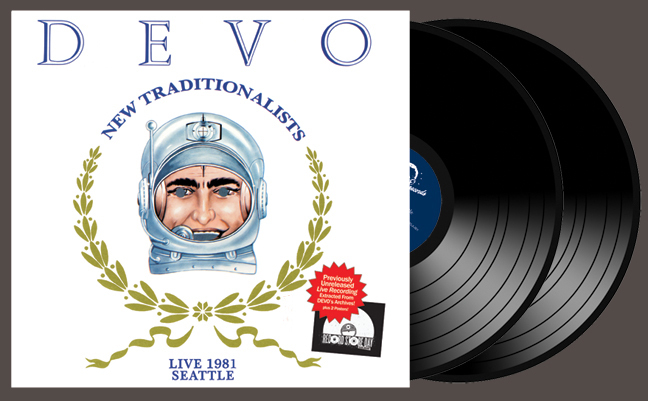 Possibly the Ryan Adams release but DEFINITELY the Devo live in Seattle in '81. To hear them live at that point in their career, not yet subdued by the crass electro sheen of the mid to late 80s would be great. It's sort of like if your mother and father swapped clothes for a day. It's humourous at first, then maybe a bit interesting but at the end of the day you can't think of a way to finish the analogy. Stuff like that is often made to stir some kind of mild shock value into the music press but it may not make for great music. Because I've been listening to them today: Crystal Castle's 'Celestica' and I would have them cover a song of ours called 'All She Does'. "I was in a huge rock band in the 90s and all I could afford was this lousy record store." Take a chance on something you've never heard of before and avoid The Cure.